1. From Suzanne at p.s. Annie! : Are you part of the back to nature/ecological group or are you more of the mindset of "I'll do what I want and everything will work out in the end"? "While the earth remains, seedtime and harvest, and cold and heat, and summer and winter, and day and night shall not cease." (Genesis 8:21). But I will always be in the camp of those who worship the Creator rather than the creation; and who are willing to use (though I hope not abuse) the soil and plants and the peat and the oil and the minerals and the herbs and the wildlife - all its benefits - to God's glory and for the good of mankind. God prepared this earth for mankind .... that's always good to remember. It makes us appreciate it all much more because it's hard not to want to care for something that is such a gift from such a God! 2. From Stacey at Happy Bride to be: What's a favorite dinner dish to make? To make, of course, is different from To eat. My favourite to make would be something that has had a lot of the preparation done earlier in the day. In fact, the cooking too - so that lends itself to a slow cooker meal. The last time I used the slow cooker was a couple of weeks ago to cook lamb shanks. You will see them in this post (scroll down a wee bit). They were delicious, and because the prep work is done so much earlier in the day, it leaves meal time much less cluttered. You've put me in the notion for these lamb shanks now. Methinks they'll be on the menu again soon. 3. From Melanie at at A Year of Jubilee Reviews: What animals have you seen give live birth? Only sheep. Did y'all not know I live in a constant state of anxiety at this time of year. Click here for a post from last year, but there is a pretty constant stream of Sheep posts on this blog. 4. From Anne at Homeschool on the Croft: If you had the opportunity to teach something, what would you teach? Did I really ask this? Well, I'd have to choose something I wanted to learn more of myself, because I'm not sure I know enough about anything to teach others. So, I would choose some aspect of History. I find British History around the sixteenth and seventeenth centuries fascinating. So I could choose this. The history of England around the time of this man is amazing. Or I would choose the time in American history from when the Pilgrims arrived until the last state became part of the USA. Can you imagine how much amazing history this would cover?! We'd have the War of Independence and the amazing lives of the first American presidents. Then the dreadful years of Civil War. And the history of the Native Americans during the late 18th and early 19th centuries holds such a fascination for me too. In fact, last week, whilst in London, I spent a couple of hours fascinated by an exhibition of George Catlin's Native American paintings, at the National Portrait Gallery. 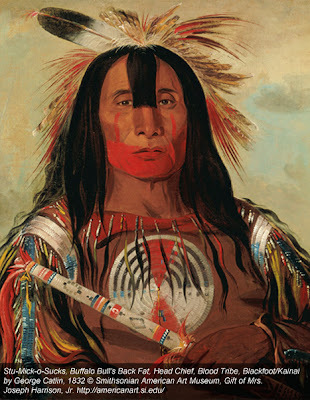 This was the first time these paintings have all been exhibited on this side of the Atlantic since George Catlin himself took his paintings to some European cities before the 1850s. Yes, I think I'd go with this ... plenty there to keep teacher and students interested, I think! 5. From Madonna at Butterfly Acres: What did you love most about school? Oh, this is difficult to answer. I don't have particularly dreadful memories of my school life, but neither do I have wonderfully happy memories of my time of school. I think my primary school years were happy, but my secondary years were more of a waste than anything else. Ummm .... may I jump to University, where my favourite class was Moral Philosophy. I hadn't expected to enjoy it as much as I did, but it was the highlight of my Uni years. My first year of Scottish History was the low-light of my Uni years. I was glad I stuck at it, because once the first couple of terms passed, I enjoyed the class so much more, but it can't compare with my Philosophy classes. In general terms too, I loved my time at Glasgow University. I loved the buildings, I loved the company I had, and I loved my daily 30-minute snooze in the Reading Room after lunch. Yes, it's true. And that siesta set me up nicely for my afternoon of studying. 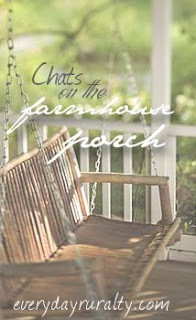 Do you know how much I wish YOU WERE in Virginia on Patrice's porch? And guess where you would be heading after you had your visit with her......the Shenandoah Valley!! Excellent response to question #2. Yes, the Earth and it's many blessings are definitely His gift! The Native American painting that you shared is just beautiful! History has always been my favorite subject, too. It is a huge part of studying family history and working on genealogy. Knowing the history of any area helps to bring so many things together. I enjoyed your post and your question. Have a great week! Actually, you sound like you would make a wonderful history teacher to me! I will take your class. :) I loved the story of your afternoon siestas. Have a great week. I really enjoy listening in on your visits w/ Patrice! I agree w/ your answer to the first question. Well said! 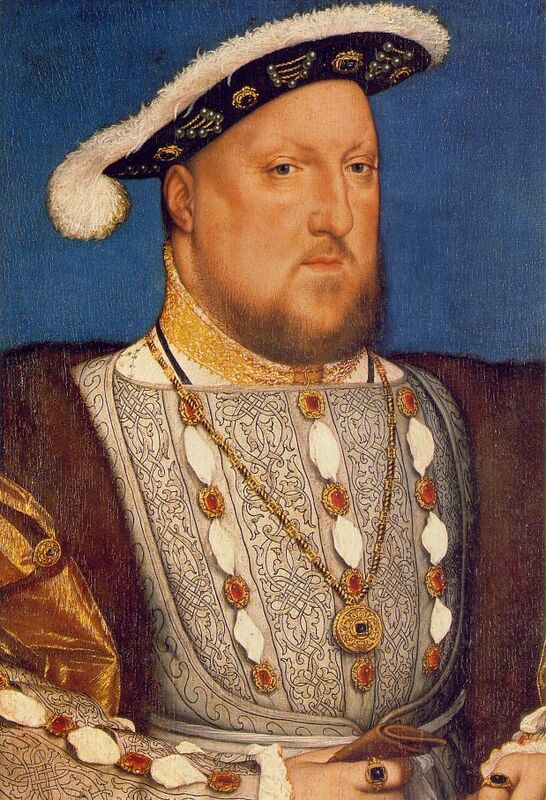 I never liked history much until I was an adult, but now I have 4 sons who love.Love.LOVE history...can be kind of contagious!...and as long as we throw in events like Regency Balls and Pilgrim Dinners we keep the girls on board as well! I agree that you'd be a grand history teacher! Sign us up for your online class! I love your answer about the environment. Such a balanced view! And, as you may already know from previous comments, I love history, too! Especially our first and second Wars for Independence! Have a wonderful day! I hope you still have some sunshine, as do we. I agree with you when you say it is not hard to care for such a gift from God. I think you'd make a great history teacher!I found out my DD1 will be over there the end of May.I'm sure you've sen any lambs born. I worry about the lambing this time of year. I'm a worry typw of person, and the sheep do give me some grey hairs! Just stopped by to catch up and enjoy your lovely writing again (It's been too long!:). God bless you Anne! I appreciate the scripture you put up in regards to the environmental outlook. I'll have to remember that one Thank you.